Asian stock markets were broadly higher during late Asian trade on Thursday, after some weakness seen in the Japanese Yen. Japan’s Nikkei re-approached its 53-month high hit earlier in the week, after Japanese PM Shinzo Abe appointed Asian Development Bank chief Haruhiko Kuroda as the next governor of the Bank of Japan. Sentiment got a further boost after Federal Reserve Chairman Ben Bernanke reiterated the central bank’s commitment to easing monetary policy and indications that the U.S. economic recovery is gathering momentum. The USD is trading lower against most of its major counterparts this morning as risk appetite remains supported following recent comments from the Federal Reserve (FED) and the European Central Bank (ECB) chiefs about continuing their monetary easing stance. 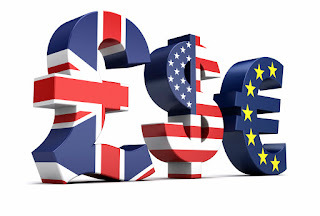 European stock market futures indicated a flat open, and the EUR is also trading flat. 10:00 CPI (EU) – Previous: 2.0%, forecast: 2.0%. The Consumer Price Index (CPI) measures the change in the price of goods and services from the perspective of the consumer. It is a key way to measure changes in purchasing trends and inflation. 13:30 Prelim GDP (US) – Previous: -0.1%, forecast: 0.5%. Gross Domestic Product (GDP) measures the annualized change in the inflation-adjusted value of all goods and services produced by the economy. It is the broadest measure of economic activity and the primary indicator of the economy's health. 13:30 Unemployment Claims (US) – Previous: 362K, forecast: 361K. Initial Jobless Claims measures the number of individuals who filed for unemployment insurance for the first time during the past week. 14:45 Chicago PMI (US) – Previous: 55.6, forecast: 54.6. The Chicago Purchasing Managers' Index (PMI) determines the economic health of the manufacturing sector in Chicago region. A reading above 50 indicates expansion of the manufacturing sector; a reading below indicates contraction. The Chicago PMI can be of some help in forecasting the ISM manufacturing PMI.